SHENZHEN, China (AP) — Forget Beijing and Shanghai. China’s economic future is emerging in Shenzhen. Formerly a collection of fishing enclaves next door to Hong Kong that became the epicenter of China’s manufacturing-driven miracle, Shenzhen is reinventing itself again by staking its future growth on finance, technology and culture. The metropolis teeming with millions of migrant workers is home to some of China’s biggest and hottest companies. Many are led by a new wave of young Chinese entrepreneurs hoping to build global brand recognition. 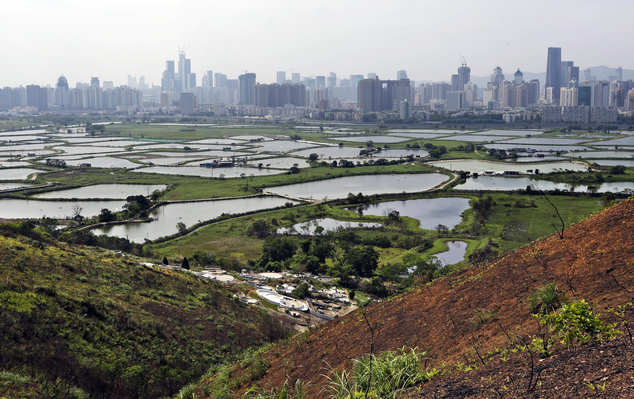 Divided from the former British colony of Hong Kong by a river, Shenzhen has been the preferred laboratory for experiments by China’s communist leaders since reformist Deng Xiaoping designated the tranquil area as the country’s first “special economic zone” in 1979. Innovative new companies are drawn by Shenzhen’s well-established manufacturing supply chains and transport links, proximity to Hong Kong’s banking and financial expertise, and better traffic, milder weather and less air pollution than Beijing and Shanghai. 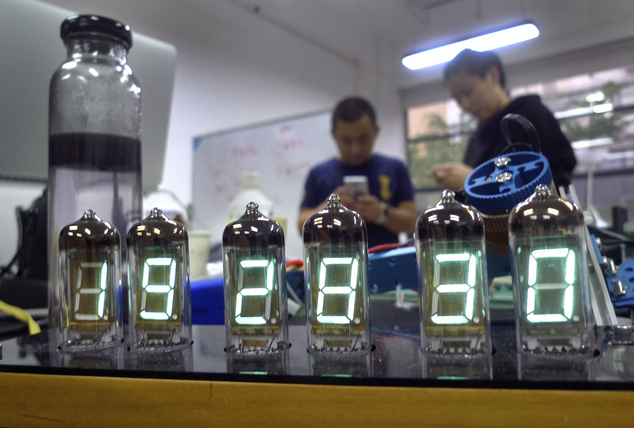 “Shenzhen is becoming the new frontier for technology because it has the infrastructure for whoever wants to turn their ideas into products,” said Eric Pan, founder of Seeed Technology, a contract manufacturer for “makers” – tinkerers, hackers and inventors. Pan quit a job at Intel in Beijing and moved to Shenzhen seven years ago. He helped foster the city’s “maker faire” movement, festivals that celebrate arts, crafts, engineering and open-source technology that have been spreading around the world over the past decade. Shenzhen’s event last year drew 190,000 people. “People rush over to Shenzhen. They are young, they are reckless and they shape the city. I think that’s the fundamental difference from other cities in China,” Pan said. Established tech giants such as telecom gear makers Huawei and ZTE and internet company Tencent call Shenzhen home. So do rising stars like DJI Technology Co., the world’s No. 1 supplier of civilian drones, inspiring local rivals such as Xenosky and Flypro. BGI, the world’s biggest gene research center, and Kuangchi Science, the main investor in New Zealand jetpack maker Martin Aircraft, are also based here. Emerging industries such as information technology, biotech, green energy and new materials now account for about 40 percent of Shenzhen’s economic output, Mayor Xu Qin said last month, according to state media. He gave no specific figures. 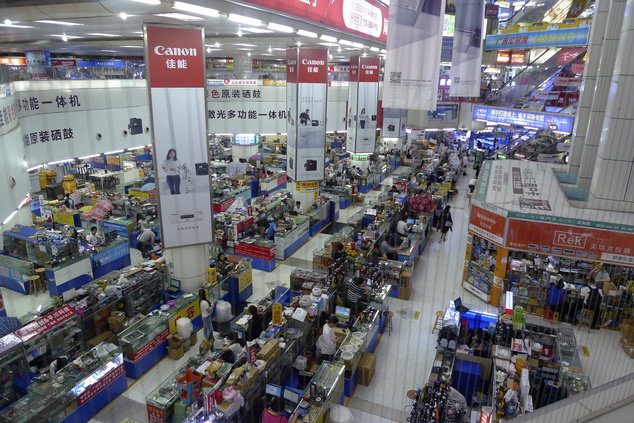 “For us, everything is made here in Shenzhen or in the surrounding areas. All your suppliers are here, all your spare parts are here. It just made natural sense to start here,” said Carl Pei, the 26-year-old co-founder of Android smartphone maker OnePlus. The three-year-old company scored a surprise hit with its first device, the OnePlus One, selling more than 1 million units in a marketing campaign that relied on social media buzz. Shenzhen’s economy expanded at an 8.9 percent pace last year, while nationwide growth slowed to a 25-year low of 6.9 percent. Per capita GDP has risen to 158,000 yuan ($24,334), on a par with Portugal. Meanwhile, growth in Hong Kong slowed to 2.4 percent. “Competition is one of the things that really sets Shenzhen apart,” Balding said. If China’s leaders can replicate Shenzhen’s innovation and competition-focused economic model nationwide, it would indirectly have an “enormous impact” on the world economy, he said. “It’s a relatively safe bet that in 10 years the tech sector in Shenzhen will be continuing to grow and thrive and kind of be the Chinese Silicon Valley,” Balding said. During a visit early last year, Premier Li Keqiang stopped in at China’s first virtual bank and checked out a “maker space” for hobbyist inventors and entrepreneurs tinkering on prototypes, seeking to promote businesses relying on finance and innovation that Beijing is nurturing as the state-dominated economy matures. Shenzhen shares many of the same trappings of growing wealth seen in other big Chinese cities, including Shanghai and Hong Kong. Its 599-meter (1,965-foot) Ping An International Finance Center is the world’s fourth-tallest, and China’s second-tallest, skyscraper. Britain’s Victoria and Albert Museum is collaborating with state-owned China Merchants Group on a design museum set to open next year. Such issues haven’t deterred young entrepreneurs like Jasen Wang, who moved to Shenzhen six years ago from Xian, another industrial city in north-central China, to start a robotics company. Wang joined an inaugural class of startups mentored by Hax, a hardware “accelerator” run by San Francisco-based venture capital fund SOSV that brings hardware entrepreneurs from around the world to Shenzhen twice a year for intensive research and development. 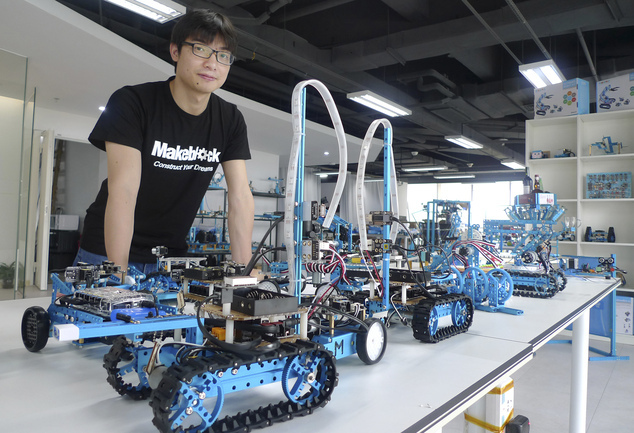 Now Wang’s company, Makeblock, has $6 million in backing from Sequoia Capital and 160 staff making his robot kits, which look something like old-fashioned Erector sets. I should have explained myself better,its like the city gets bigger and more people come to the city,but the people dont chnage with the city.it does not seem to get better it gets worse.